Even so, Penelope refuses to be a spectator—a pawn in men’s schemes. She rides the waves of turbulence and danger, surviving on her wit, guile, and pure intelligence. She skilfully weaves her seductive plots to ultimately control the men who would control her. All the while, she schemes, always working toward her escape and eventual freedom. We are also looking for an artistic family to get Penelope and Ulysses staged. Any local theatre group that are interested in being part of such a stage production, please send us an email. The book can be purchased at reputable online stores, including Balboa Press and Barnes and Noble. It has taken a long time for this event to come into reality but it has been worth the effort. 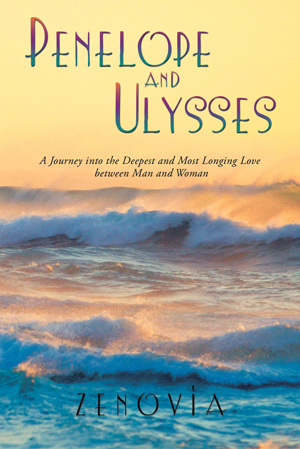 The play, which tells the story of Ulysses’ wife, Penelope, is also currently being turned into a movie script and we hope that it finds its home. David Myles, a Melbourne-based director with international experience, has shown keen interest in directing Zenovia's Penelope and Ulysses. “It is with great pleasure that I have agreed to direct the forthcoming production of Penelope and Ulysses, and I look forward to participating in a unique theatrical event. Zenovia has written an extraordinary script,” he said. Click here to read about supporters of Zenovia's work: Mikis Theodorakis, Don McCullin and more. Read about Zenovia's upcoming book on Nietzsche.